After a trip to an old fashioned sweet shop and my purchase of humbugs I simply couldn't resist another little project for the challenge over at Country View Crafts which is Bah Humbug, a funny play on words this time. I have been making these little boxes for ages after finding the tutorial at Splitcoaststampers a long time ago. They are so versatile and can be for any occasion. I have used up my Christmas bits and pieces on the front, amazing what you come up with after a rummage in the bit box isn't it. The only pieces I cut today were the two die cuts with Tim Holtz paper which cover the top and bottom of the box. 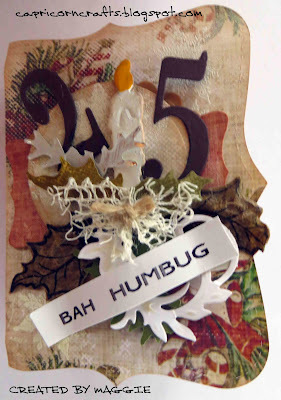 Bah Humbug was printed with a labelling machine. I stamped snowflakes in white brilliance ink all over the inside lid and around the outside edges added tissue paper and humbugs. 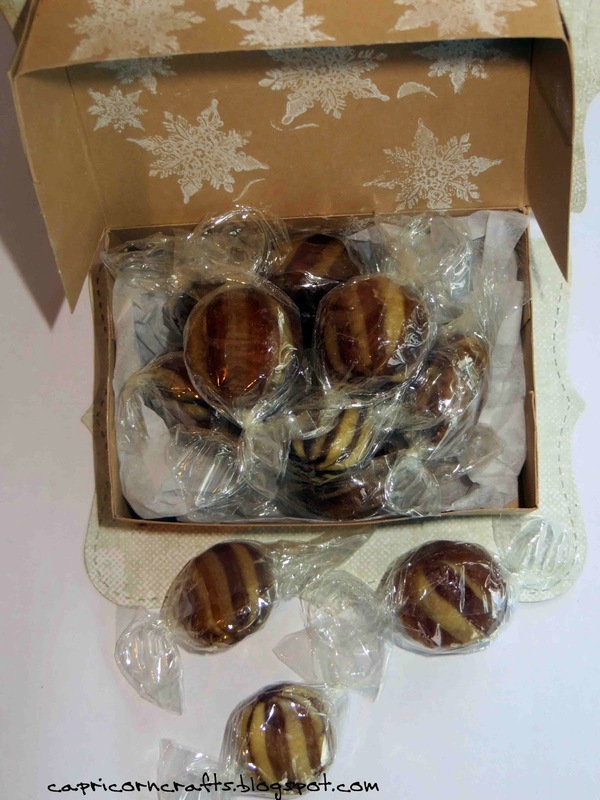 I will discretely add the box to a table and wait to see the reactions which I think all add to the Christmas fun! That's so cute - beautifully done. Thank you (belatedly) so much for playing along with us at The Artistic Stamper.